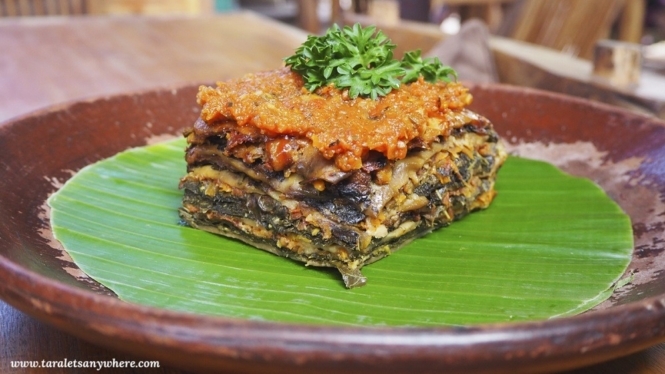 One of the favorite things that we did in Bali, Indonesia, is food tripping. Yay! In fact, in our last day stop in the Island of the Gods, we spent the entire day walking around and eating healthy bowls and sipping coffee. So I know that a lot of Filipinos like to do budget trip, sometimes to the extreme, but the food in Bali is insanely good and affordable. Our budget per meal for 2 people is around 200,000 IDR (P700). A main dish usually costs 60,000-80,000 IDR (P220) and coffee/tea/juice is about 20,000-40000 (P75-150). Not bad, right? 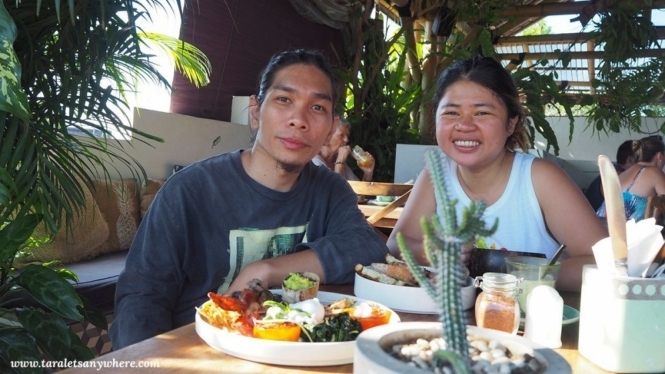 We actually tried several restaurants in bali during our food tripping. 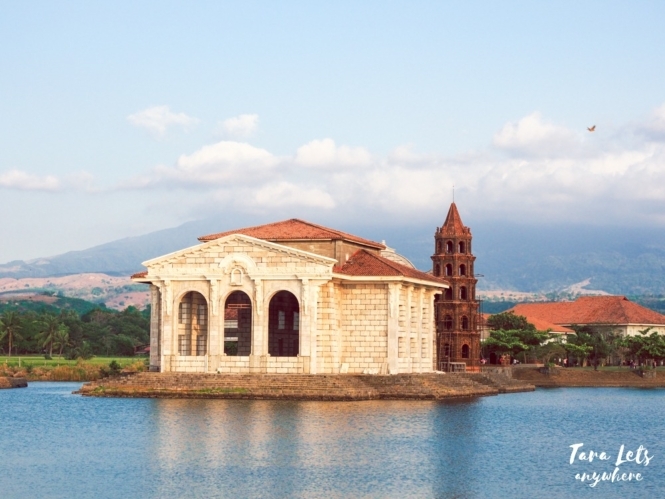 Here are the ones that made the cut to our favorite list! We liked Bali Buda so much, we ate here twice even though we had an unspoken rule of trying out a restaurant only once when we’re traveling. So what’s in Bali Buda? First of all, the food is lip-smacking good! We can’t believe a lot of the items in the menu are also vegetarian. Their tacos has refried beans instead of beef, but you won’t even notice. The burger comes with huge fries and a delicious creamy dip, as well as side salad. 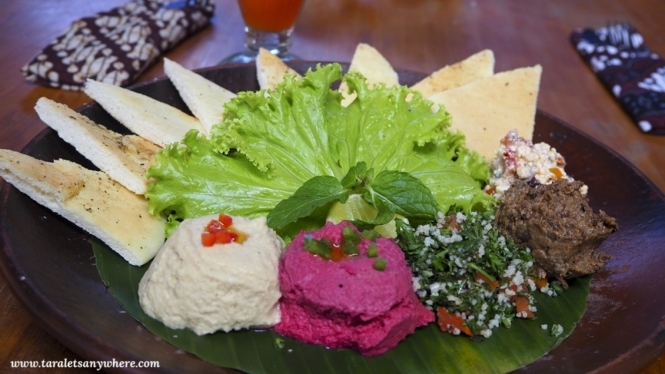 Their mediterranean plate comes in a colorful plate of hummus, babaganoush, tabouli dips and pita bread. The vegetarian lasagna is unique and delicious! They also offer a range of desserts. The blueberry cheesecake is one of the best we’ve tried (sorry, forgot to take picture of this one); the blueberries weren’t added as a topping but baked as the topmost layer of the cake. 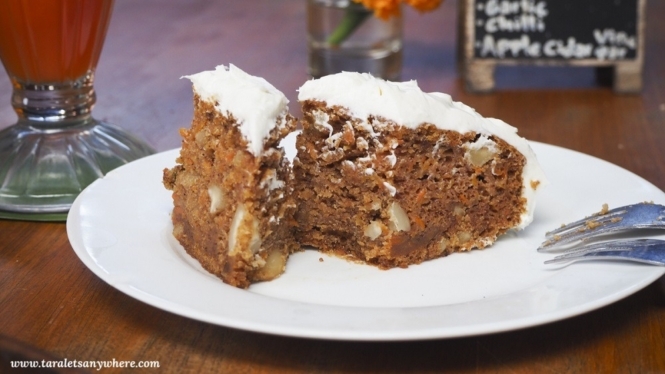 Meanwhile, the “Most Delicious Carrot Cake” lives up to its name. A pot of authentic Bali coffee is perfect for capping off the meal. Chicken burger with fries, creamy dip and salad. Without exaggeration, everything that we had ordered were satisfying! Prices in Bali Buda are about 60,000 IDR (P220) per main. Serving is generous. 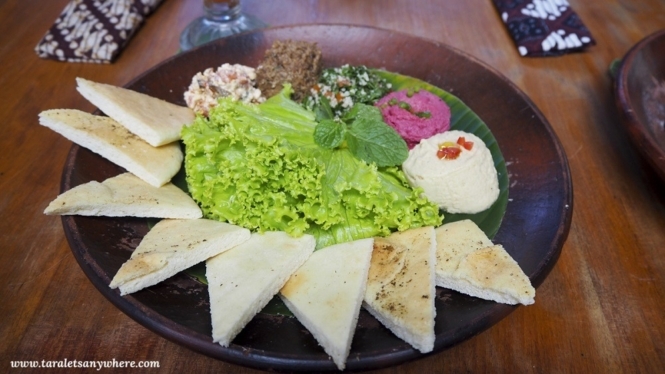 The ambiance in the restaurant is very chill, and it’s close at the center of Ubud as well. If you need more reason to visit Bali Buda, you’ll be happy to know that the restaurant also practices zero-waste management and support local farmers. Taco Beach Grill offers Mexican food, with vegetarian options — nachos, tacos and burritos. We went here for dinner because it’s walking distance from our hotel (literally a 3-minute walk) and the online reviews are great. 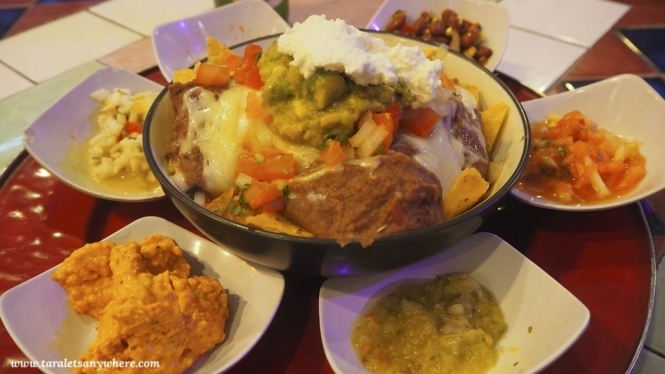 I love their nachos and it’s now my favorite, followed by the beef nachos of Silantro (in the Philippines). Serving is also good enough for 2 people. 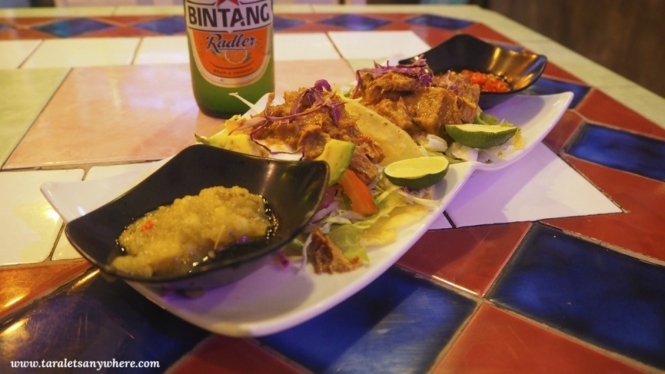 Tacos with redang chicken and Bintang beer. Taco Beach Grill also has dedicated Happy Hours, which is perfect if you want to relax with a margarita after a tiring day out. 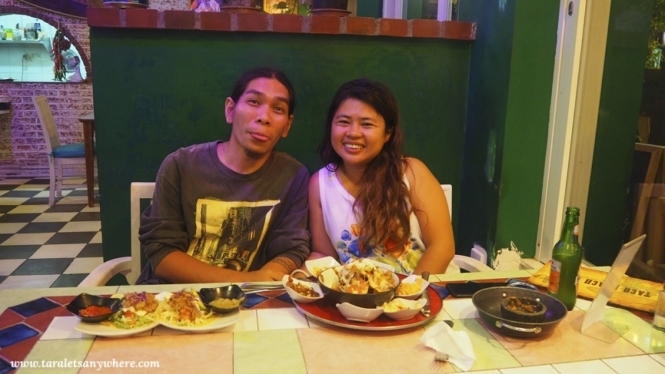 It also has Taco Tuesdays, where tacos are offered for 20,000 IDR (P75) only. Seminyak is known for its healthy breakfast bowls (also called smoothie bowls). You know… those yummy-looking mix of oats/muesli and fruits you often see in Instagram. Bali being Bali, if you order a breakfast bowl you’re also guaranteed fresh ingredients and 3-star deliciousness. 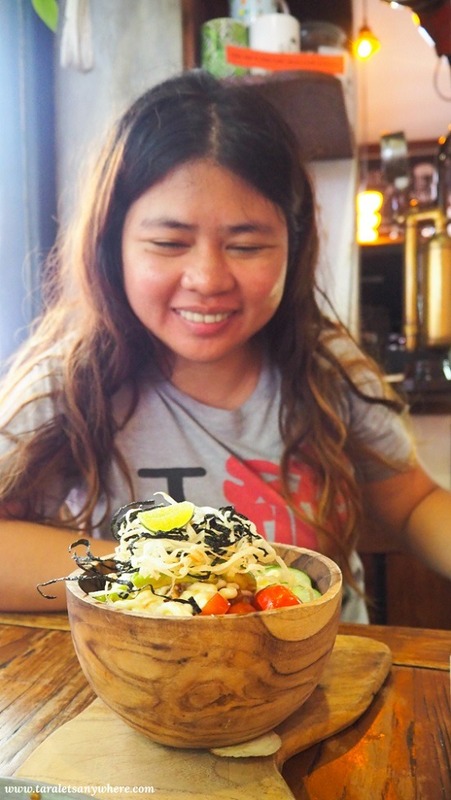 Nalu Bowls is the first breakfast bowl shack in Bali, and currently they already have various branches in the island. 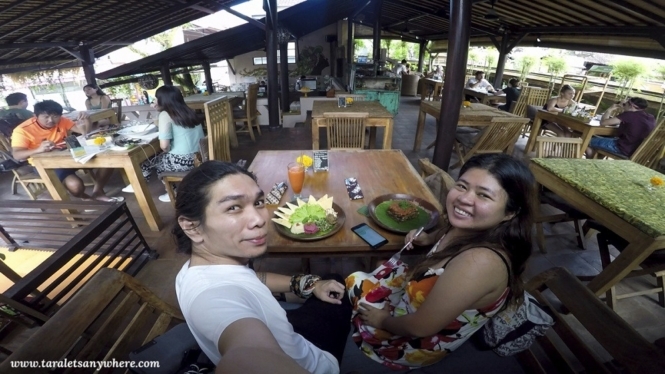 The one is Seminyak is attached to another restaurant called Shelter, so we got to try both! 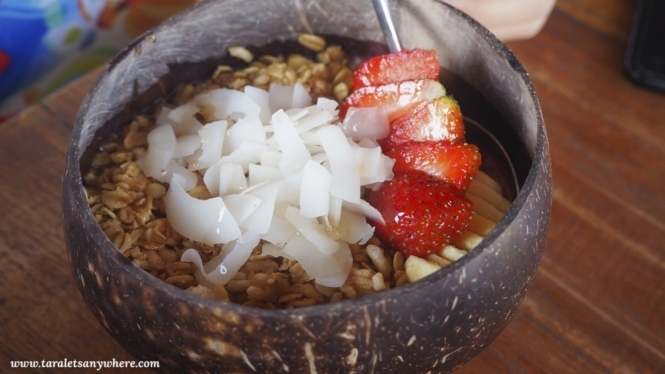 The nalu bowl looks very simple, but it’s delicious once you mix the smoothie with the grains. The tanginess of strawberries and the solid texture of dried coconut are great additions. 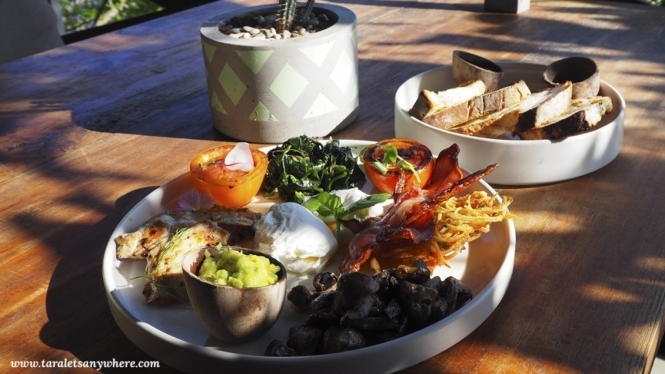 The Big Bang Breakfast is a bit expensive at about 90,000 IDR+ (P330+) but very worth it. Grain is a modern cafe serving their own original coffee blend and unique meals as well. They have all sorts of bowls and salads, as well as sandwiches and burger. I love my order of poke bowl with salmon — the salmon is very fresh and it blends well with the rice and vegetables. Somehow, it reminded me of the fresh sushi served in a small tucked-away Japanese restaurant near my home in KL. Hali had a filling salad and later on a burger set. 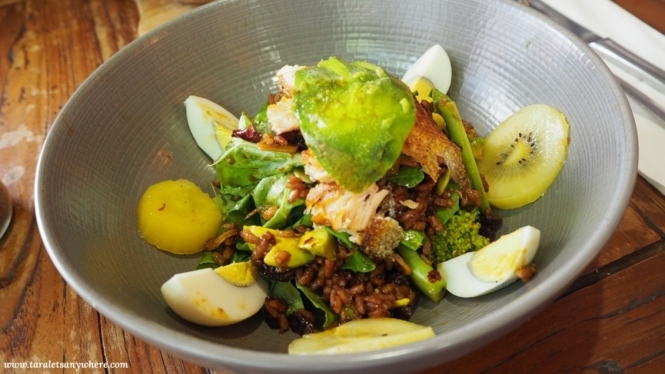 A filling salad with brown rice. Prices in Grain are about 80,000 IDR+ (P300+) per dish. Thank you Grain for a perfect way to end our food tripping adventure in Bali! 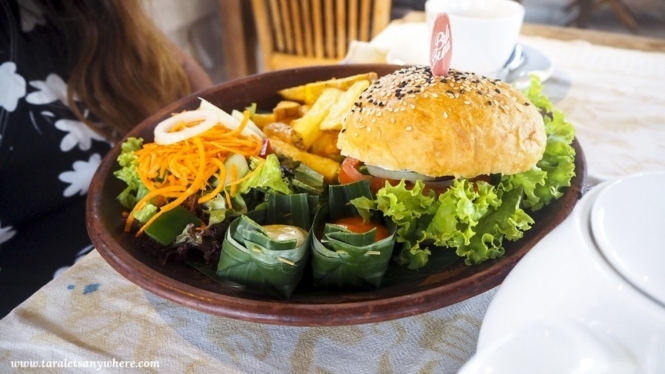 What other restaurants would you recommend when food tripping in Bali? 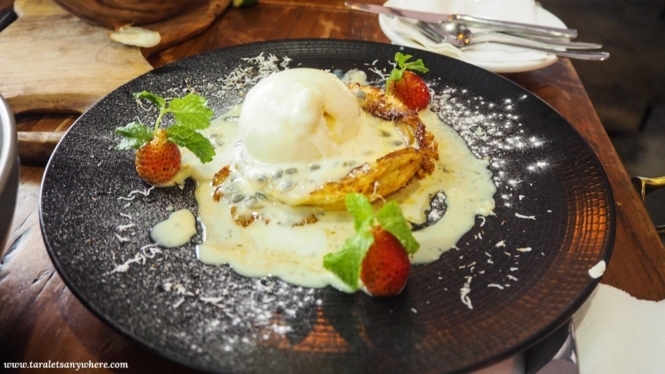 What dishes are not to be missed? Please let us know in the comments section! Mahilig din kami mag foodtrip ng family ko pero di pa namin natry sa ibang bansa hehe. I love everything that you posted on your blog! Nakakagutom! Thank you Meg! Balak nga namin magfood trip sa iba naman like Hongkong, Taiwan, SK. 🙂 Nakakatuwa maexplore yung iba’t ibang lasa ng foreign cuisines.